The New Moon is a time of new beginnings, hope, faith and optimism. It is a very important night energy wise as it sets the pace for the entire lunar cycle. This means it’s also a great time to work with the Tarot. 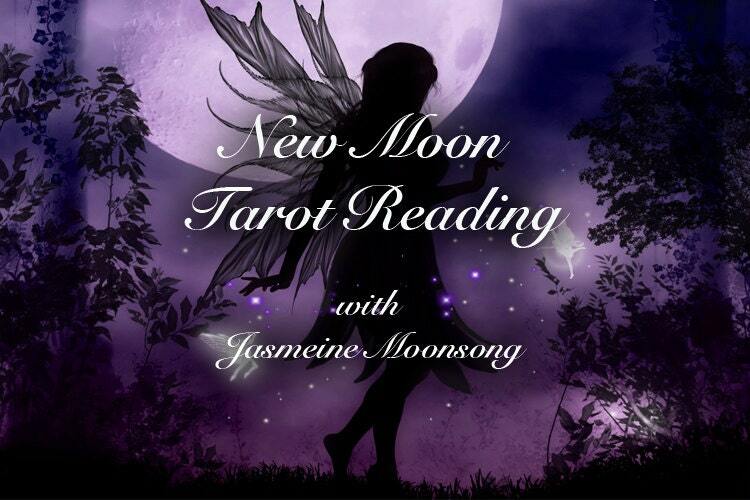 Get a New Moon Tarot reading to check in and see how things are going in your life. 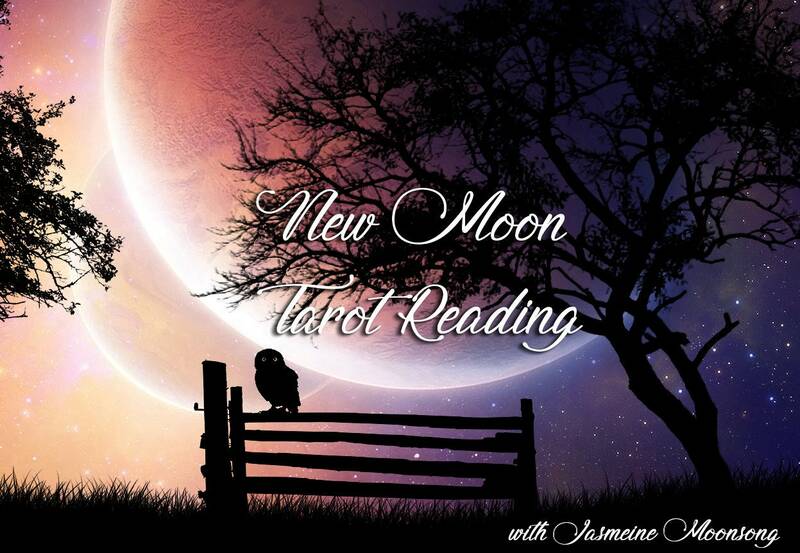 Find out what energy this New Moon will bring you. Ask your guides what you should be working with this lunar cycle and what you should let go. Your Past - Let's take a look at where you came from and see how it's affecting the present. Your Present - There's no time like the present. ;) Where are you currently on your path? Your Future - Where is your path leading you? This is a great card to see if you want to adjust your path or continue as you are. New Moon Energy - What energy is this New Moon bringing you. What should you release? - What should you release going into this lunar cycle. What should you you embrace? - What energy should you work on bringing to you this cycle? What Your Guides Want You To Know - Special advice from your guides. What do they want you to know right now? Your Power Animal - What Spirit Animal is currently assisting you on your path and how can you best work with their energy. I do these readings by hand after meditation on a first come first serve basis. 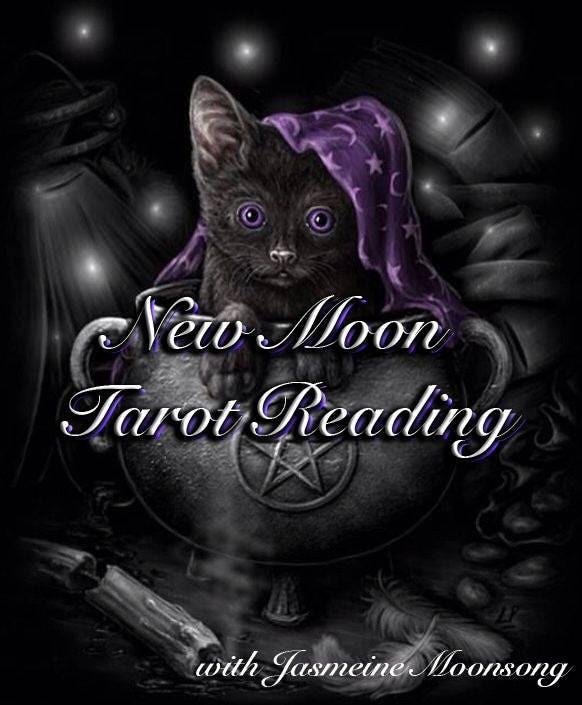 I send out the readings as quickly as I can but please allow up to one week for delivery. Love your readings!!! I'm always in such suspense waiting!!! This reading was thorough and interesting. I highly recommend Jasmeine's readings! She is amazing!!! Every time I get a reading from her I am blown away by her gifts. Definitely buy this. She gives you the insights that you need. Her readings are right on!